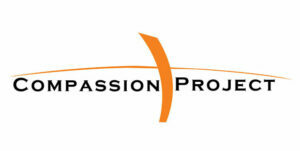 What is at the heart of the Compassion Project? Jesus showed compassion to people and shared the hope of a relationship with Him. He connected with people where they were and built relationships based on compassion. The Compassion Project is designed to be a practical resource to the local church and Christian community to aide them in acts of compassion during a “missions trip to their own community.” These acts of compassion create unique and exciting opportunities for relationships to be built and the gospel to be shared, equipping the body of Christ by providing a hands-on, proven, step-by-step process to launching your own local missions project.